If you have a toddler, you probably feel quite familiar with the messes that accompany the feeding adventures. I'm keeping it real here- as I usually do. 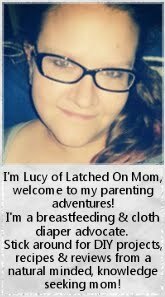 Starting solids was something I was dreading. So much clean up... 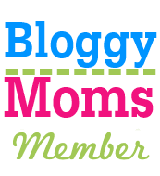 I've sat there and watched the chaos of meal time unfold- for almost 2 years now with my youngest, wondering what can make this easier for both parents and toddlers? Fortunately, I was invited to review the Munchkin Splash™ Collection. 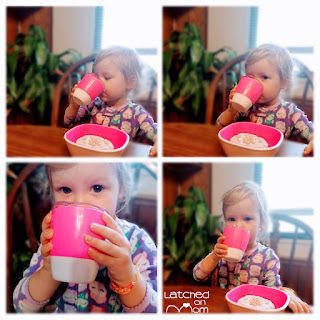 This is the first official no-slip toddler tableware we've tried. I have a few things to say about it! My daughter was thrilled with her new dinnerware set: a Toddler Cup, Toddler Bowl, and two Toddler Plates. All these items are BPA free, dishwasher safe and microwave safe. They stack neatly and come in 4 different coordinating colorful shades! Having safe products for my family is important to me and Munchkin is very adamant about being up to date with safety regulations. "All of our products are independently tested and meet or exceed the safety standards for our industry as established by both the Consumer Product Safety Commission (CPSC) and American Society for Testing and Materials (ASTM) International." 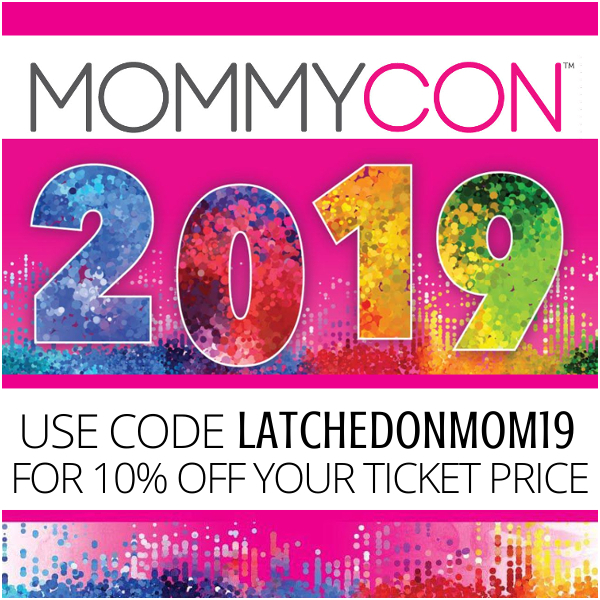 You can conveniently find Munchkin products in many retail stores, or on Amazon (visit my affiliate links below to read more details on these amazing products)!!! My little one sure is growing fast and is ready to move towards an open cup. The Munchkin Splash™ Toddler Cup with Training Lid is perfect to gently transition kids and help them develop the skills to use an open cup, thanks to the training lid! After just one week of use, she's already able to go without the training lid. I'm pleased because it's super simple to clean too! No nooks and crannies that germs collect in. The Munchkin Splash™ Toddler Bowl is the perfect portion size for my daughter's favorite gluten free donut for breakfast and for any snack, too! I love the grip at the bottom, it keeps it from sliding all around the table making meal time or snack time less messy! Spoons and other utensils fit in without falling in, which is easier for my toddler to scoop whatever is in the bowl. The Munchkin Splash™ Divided Plate is definitely our FAVORITE plate of all time! It's super sturdy, also offers the perfect portion sizes and is much more fun than any other plate we've ever tried. 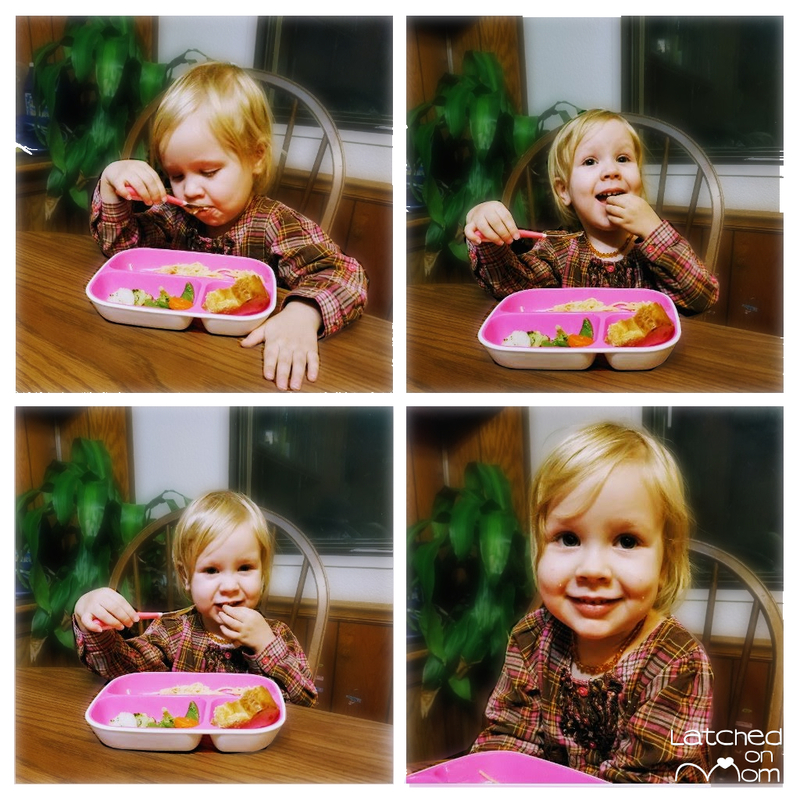 My picky eater was happy to eat her dinner. The no-slip bottom helps my toddler feel more confident at meal time. It helps me feel more confident about spending more time with my family and less time having to clean up! What's my favorite thing about the Splash Toddler Dining Set? This tableware is fun & makes life easier! Nothing I can think of. We're all very pleased! 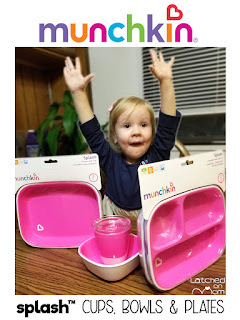 I give the Munchkin Splash Toddler Dining Set a 10/10! 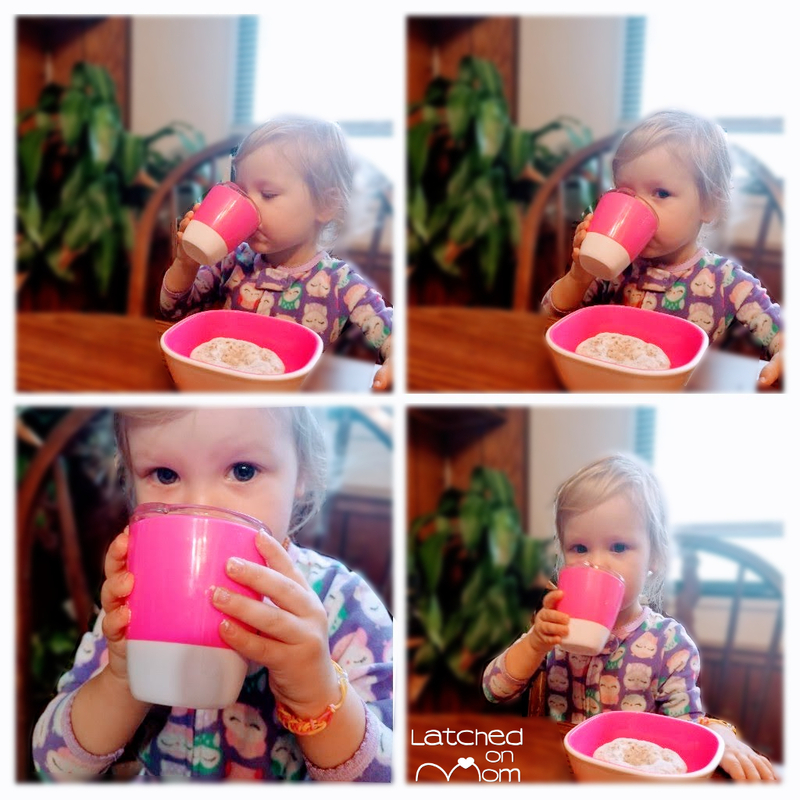 Have you used any Munchkin brand feeding tools? Leave a comment below letting me know which one of these you'd be most interested in trying!